In compliance with new FTC regulations, I am disclosing that from time to time I accept copies of books from publishers for review. Acceptance of a book does not guarantee that I will write a favorable review or will review it at all. Whenever I review a book that was given to me by a publisher, I will disclose it in the review. I do not accept any compensation from publishers other than review copies and copies for give-aways to readers of this blog. I am not paid for blogging. The primary focus of BOOK JUNKIEZ is FICTION, Urban Fantasy, Paranormal Romance, all Romance genres, Science Fiction/ Fantasy, Young Adult, Comic books/Graphic Novels, Erotica. 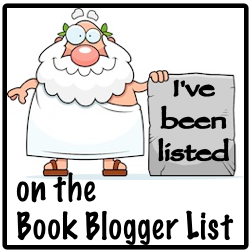 Check the Recent Review Links page to get an idea of the types of books I have chosen to review. I review books from my own library as well as advance copies of books accepted from publishers. Acceptance of a book for review does not mean that I will give the book a positive review, although I strive to find something good in every book I review. Acceptance of a book for review does not mean that I will publish a review. I have published negative reviews from time to time. If I do not finish the book because I found it unappealing, I will not review it. If a book sent to me for review is not a good fit for me I may ask a guest blogger to read and review it for this blog. I will strive to post reviews of books that I received in advance of their publication date on or near that date. Reviews of already published books will be published as I finish them unless I agreed to post the review on a date certain as part of a virtual book tour or other special event. I am happy to host give-aways of books I review to my readers or participate in virtual book tours as my schedule permits. I am also interested in hosting guest posts from authors or publishing interviews with them. Each review posted on this blog will also be posted on my personal blog, http://Bookjunkiez.com on wordpress, Goodreads, Amazon, Tumbler, and Facebook. Publisher’s representatives can email me at jreed2801@gmail.com with any questions they would like an answer.